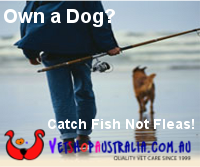 FishMax - THE Australian Online Fishing Magazine: UK Shark Fishermen Enjoy Warm Rewards! From Old Blighty, we hear that British fishermen are getting to experience a bit of serious shark fishing not normally associated with colder northern waters. British scientists attribute the fact that UK fishermen are bringing in record breaking sharks to a warmer gulf stream influence this year. 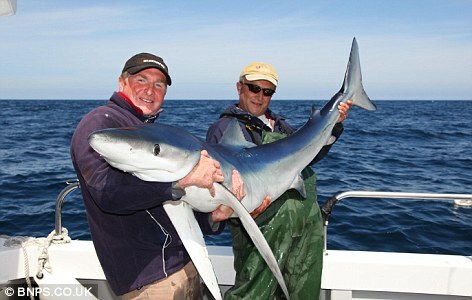 British media have been reporting some serious shark catches of the British coast, including Wayne Little, 42, who hauled in an 8ft blue shark off the holiday beaches near Milford Haven, Pembrokeshire, late last month. The warmer waters of the Gulf Stream in the South-West have made the Pembrokeshire coast is one of the UK's best spots for shark fishing. According to shark experts, there are now 'hundreds' of blue and porbeagle sharks 20 miles off the South-West coast.